This is a package of dinner or lunch at KAWAII MONSTER CAFE and Robot Restaurant show ticket. 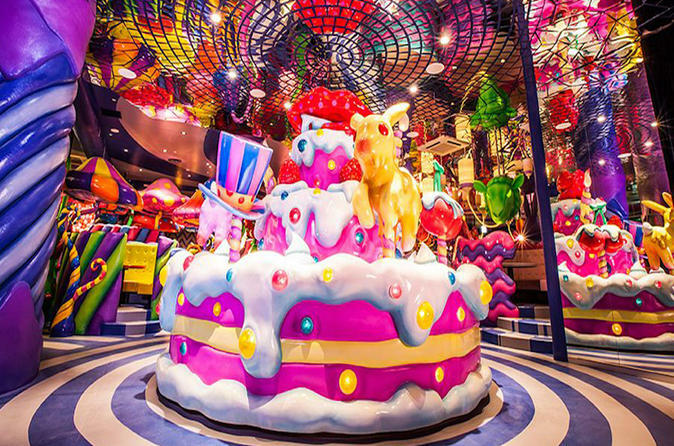 Start your self-guided tour at KAWAII MONSTER CAFE. Nothing is too "wakaii" or individualistic here. After KAWAII MONSTER CAFE, move to the Robot Restaurant in Shinjuku and enjoy one-of-the-kind robot cabaret show where neon-lit performers dance to a techno beat. See robot dinosaur, ninjas, taiko drummers and costumed dancers all together for a 60-minute performance. End your special day at the Robot Restaurant.